Morty Pride is a family-owned and operated meat-processing company located in Fayetteville, North Carolina. After working in meat sales for nine years, M.B. (Morty) Hudson decided he would start a company as a wholesale meat distributor in 1969. M.B. started by purchasing pork items, lunch meats, and sausage items from local processors and distributing them to grocery and convenient stores in the area and region. Sales for the first week totaled just six hundred dollars. In the beginning, M.B. saw the company as being a one-man operation just making his family a living. Expectations were quickly exceeded as the company grew to include three trucks and three sales persons within the first few years. Distribution was the core of the business until 1979 when M.B. 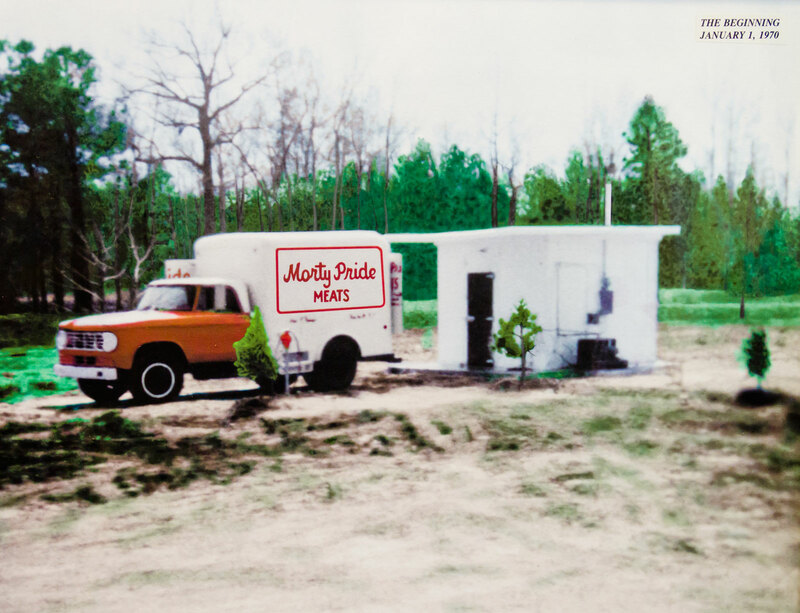 built a small building in his back yard for his own production, and the brand Morty Pride was born. A family culture has always been at the heart of our business. As business has grown, so has the family involvement in and around Morty Pride. 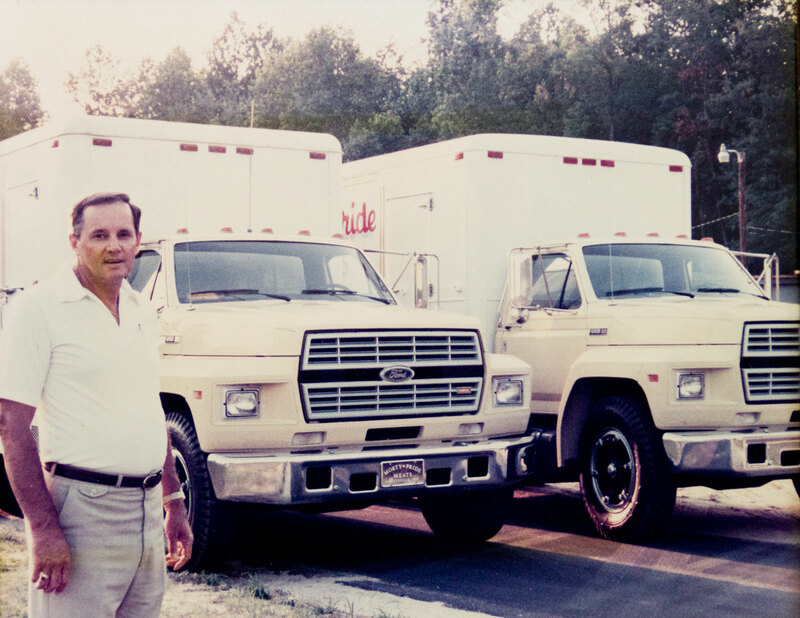 M.B.’s oldest son, Mickey, joined the company in 1980 after completing high school. In 1984 M.B.’s youngest son, Chris, came on board. Both of their roles in the company have changed over the course of the years, but their focus has always been the same – to provide a quality product at a fair price. Now a third generation is pitching in at Morty Pride, with M.B.’s grandchildren making significant contributions. Collin, Chris’s oldest son, joined the company in 2009 and now oversees equipment and plant maintenance, with his background in refrigeration and electronics. Mickey’s oldest son, Matt, came on board in 2010 after completing his studies in chemical engineering and food science from North Carolina State University. Mickey’s youngest son, Tyler, works part-time while completing classes at a local community college with a concentration in business. It is only natural that we treat our customers like family since our company is largely built off of family relationships. 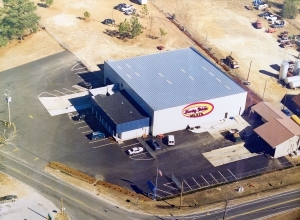 In 1985, the company purchased and relocated to a small barbeque plant. With more space available for production and storage, the company continued to grow by adding new products to the market. After several years of debate, the Hudson family decided to expand its current facilities and completed an addition in 2000. The additions included new processing and packaging facilities as well as much needed cold storage space. With the new facilities and more space, the company was able to expand its range of products to include smoked meats. Business initially grew slowly for these items, but over time it was more than the single facility could handle. 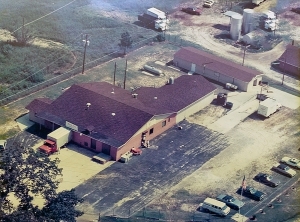 In 2005, Morty Pride built a new facility at 105 S. Broad St. to accommodate its smoke house operations. Business has grown steadily since this time, which has resulted in more facility expansion at our Broad St. location and more being planned. All this expansion is made possible by the strong and deep family roots that manage all aspects of Morty Pride. The combination of growing sophistication coupled with significant experience leads to professional, organized and well-managed growth. Our success has always been attributed to our ability to adjust and accommodate to the needs of our customers, something we will always strive to do. Our goal has been and will always be to meet these needs with a quality product and a reputation that we all can be proud of.